Hi guys, welcome back to my blog! 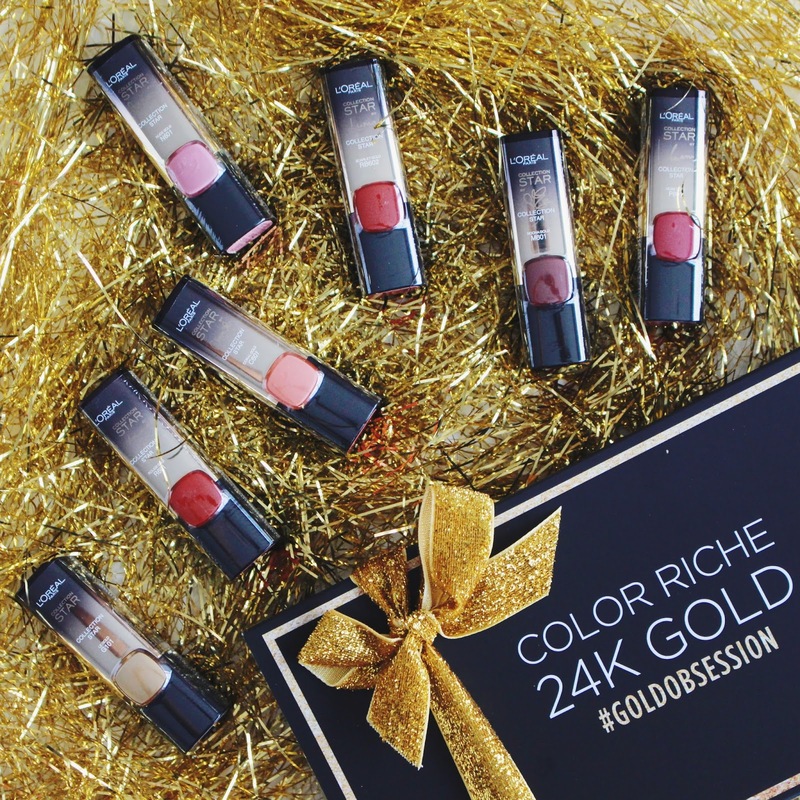 Today's post will be all about L'Oreal's Gold Obsession party and the launch of their Color Riche Star 24 Karat Gold collection! 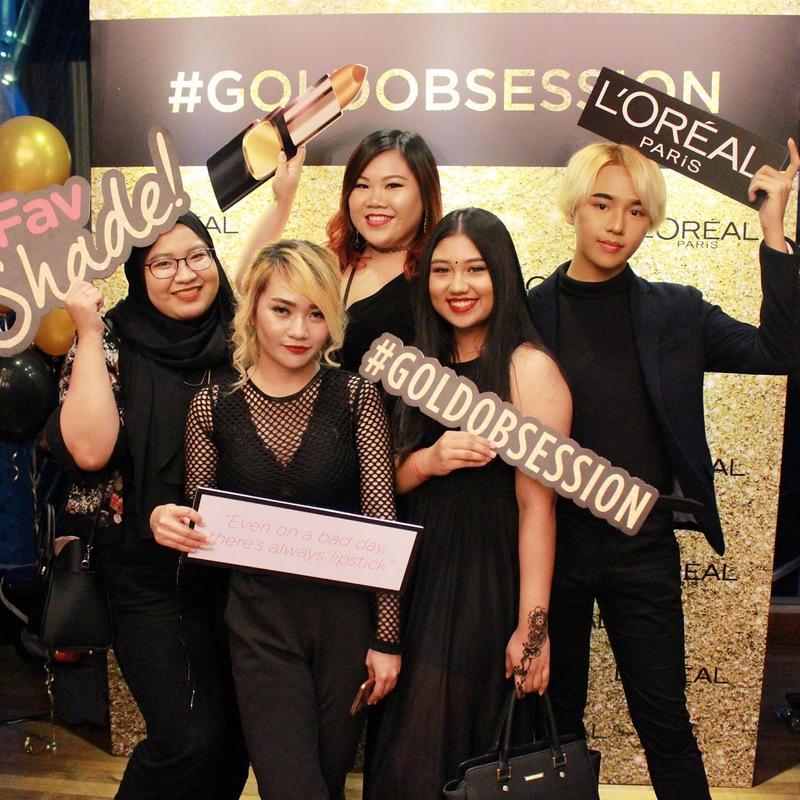 L'Oreal has been around for over 30 years now but they've still managed to be one of the most popular and affordable beauty brands in the market. 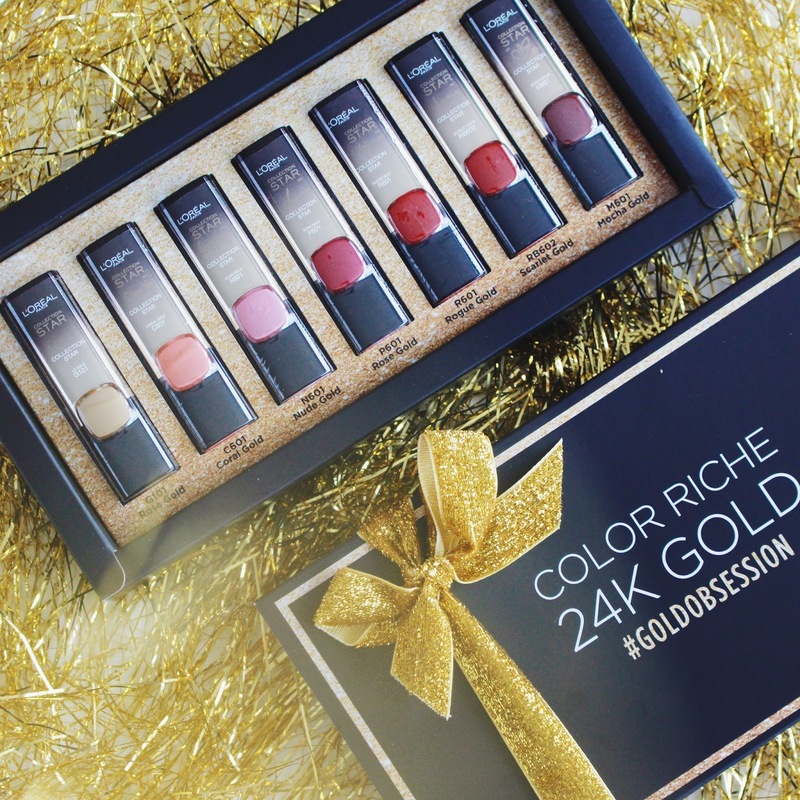 They've released a ton of different colours and shades but they've managed to keep their quality consistent, making them super loved by beauty lovers. 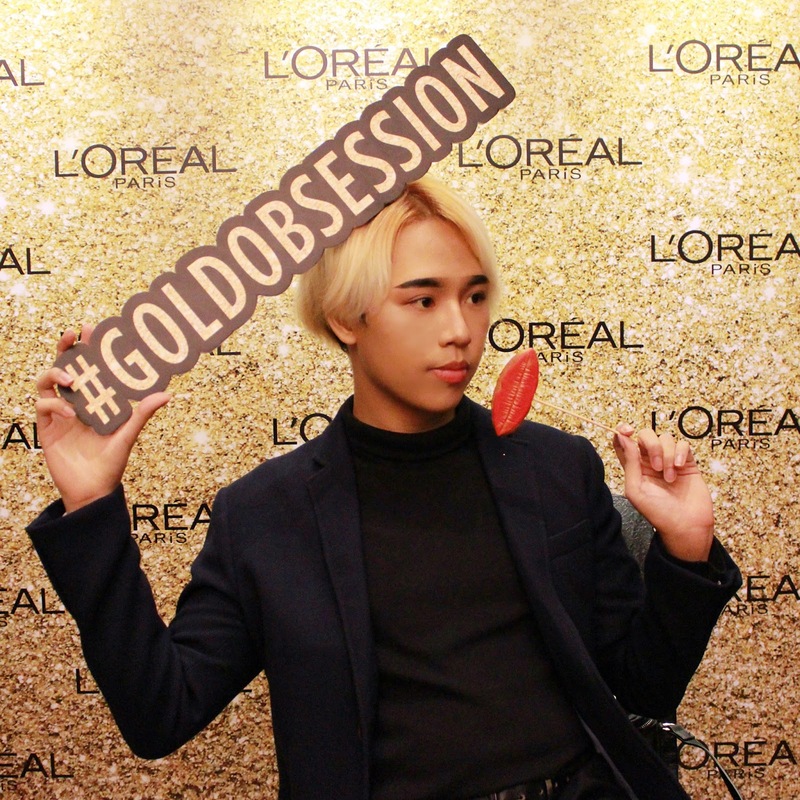 For L'Oreal's latest collection they decided to take their color obsession further and came up with 6 metallic lip shades PLUS a limited edition PURE GOLD shade! How cool is that?! 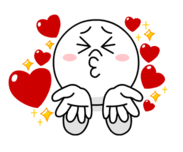 From left to right, Anis, Bo, Sydney, Dash, me. 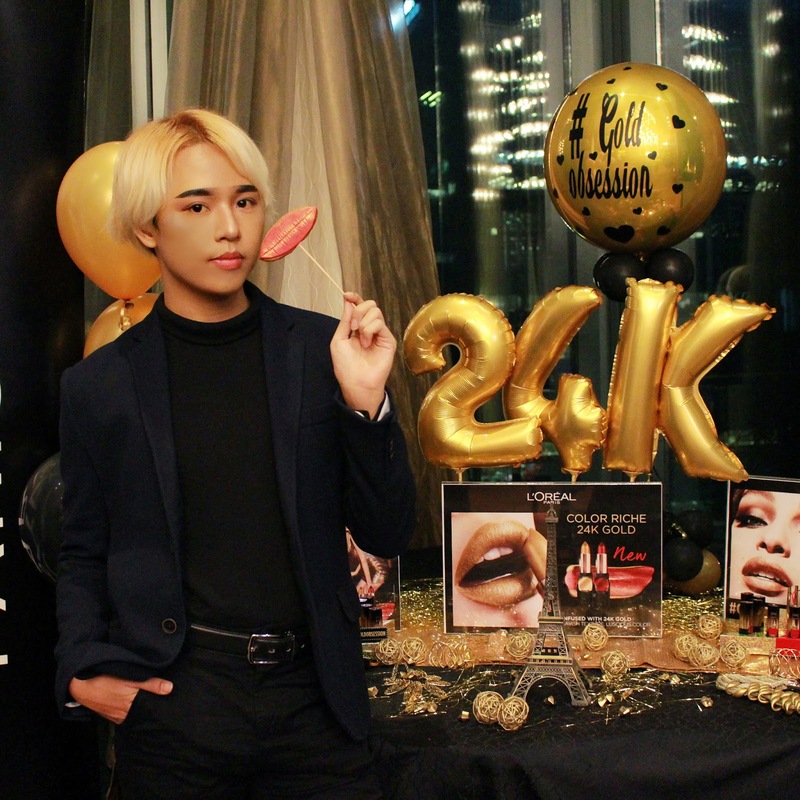 A lot of beauty influencers were there, and though I didn't know any of them personally, I did manage to meet a familiar face: Chanwon! So obsessed with her IG omg. I also got to take a shot with May Ho. My squad and I had so much fun taking boomerangs and pics throughout the partay! 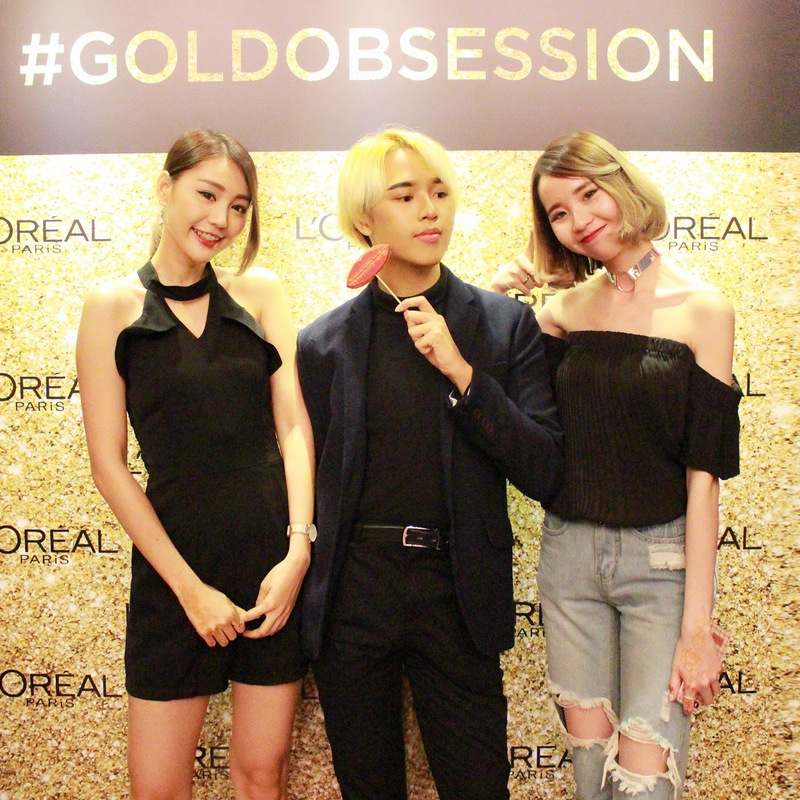 The gold theme totally matched with my aesthetic (ahem hair), and we overall just had a great night out. There were lots of products on display for us to try out, and I actually had my eye on a few of these products! I've seen their eyebrow kit and their brow mascaras in store before but I never got a chance to swatch and try them out. 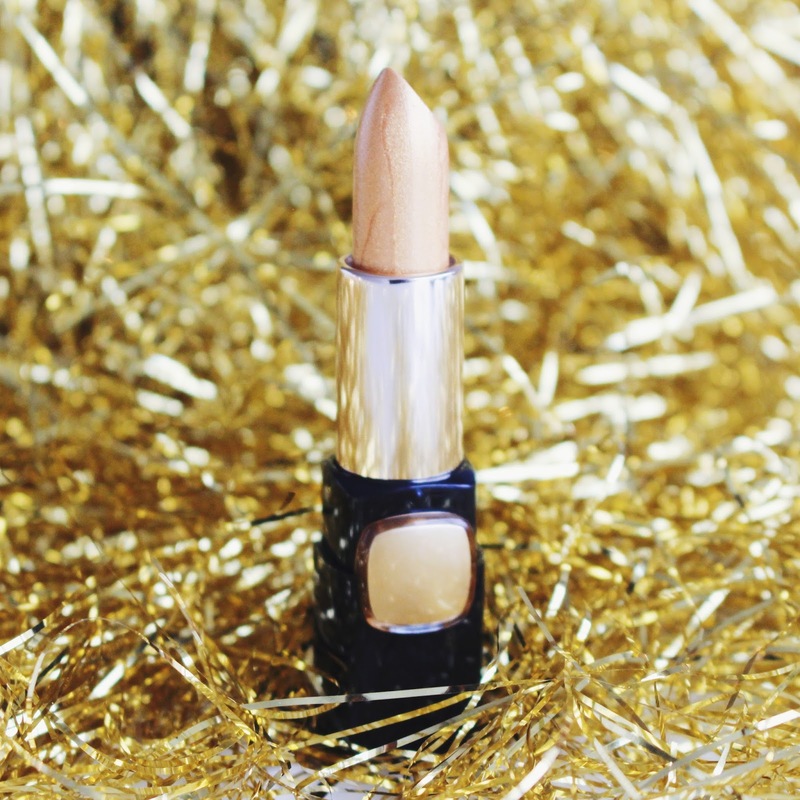 Here's a close up shot of the gold shade, which can be put on top of any lipstick to make your lips look fuller. You can also use it as eye shadow or as a highlight! And that's it for this short post! 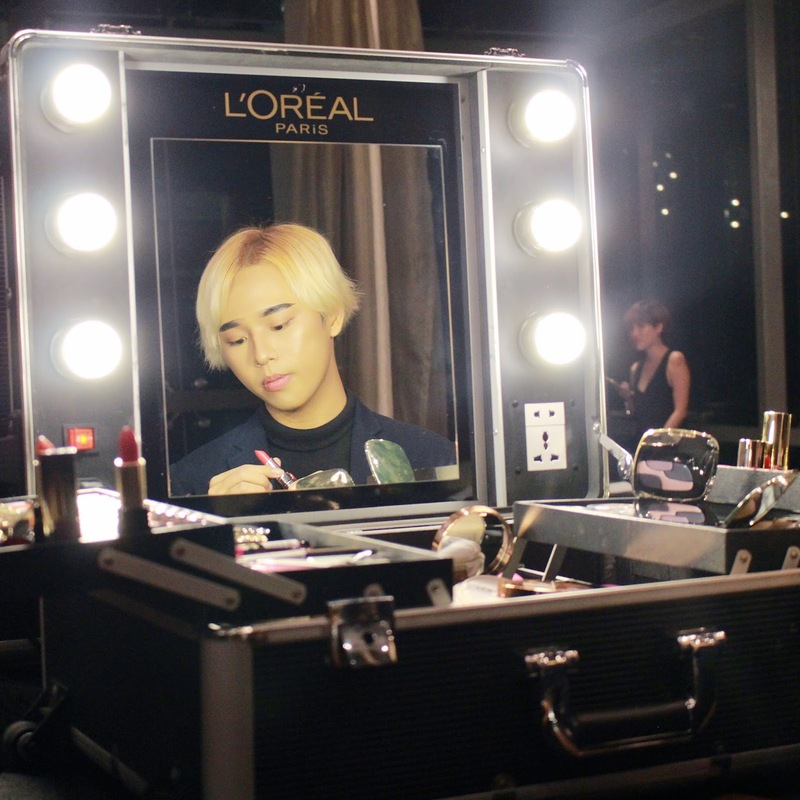 Again I'd like to thank L'Oreal for the invite. 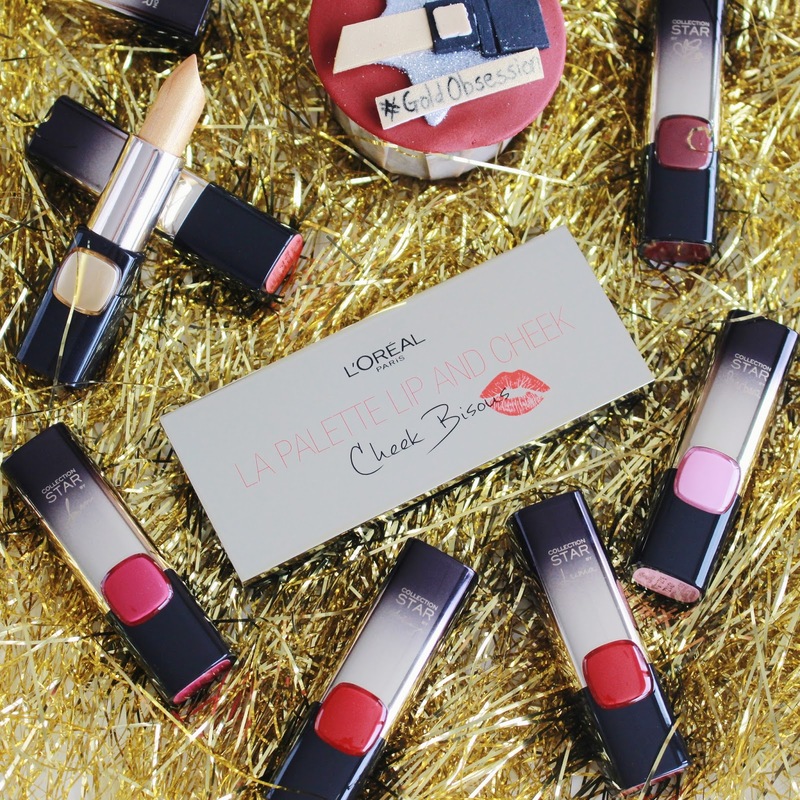 I can't wait to start playing with these lipsticks! As always, thanks for reading. I'll see y'all in the next post!